The weird thing is, I don't remember there being a power outage; all my other appliances from my oven to my microwave to my Tivo seemed to be fine. 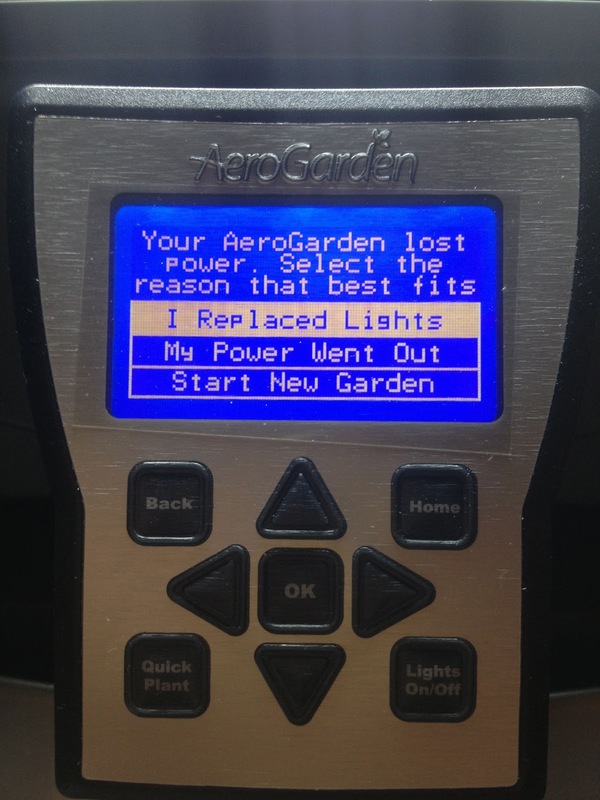 But I guess it's possible there may have been a power surge. I clicked "My Power Went Out" and saw that the AeroGarden's clock was indeed off. 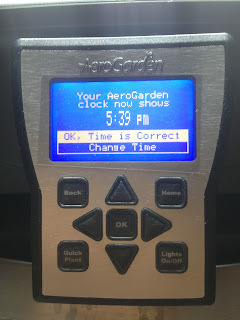 I then set it with the correct time. Strangely, while it should have been on day 3, it now reverted back to day 1. 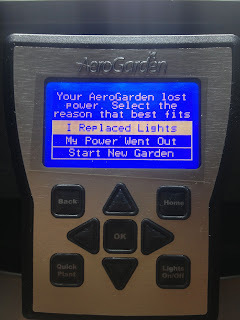 I have to say I like this new system better than the old one (where you'd get no indication that the power went off, and you'd need to figure out how to reset the AeroGarden's lights blindly). 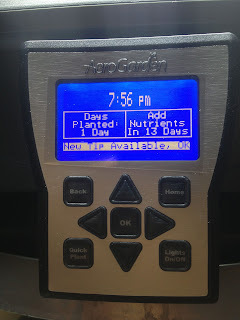 But then again, it would have been nice for the unit to have done a better job at keeping the time/date settings while the power was out, as now it seems that my system will be a day behind. In any case, no harm, no foul. 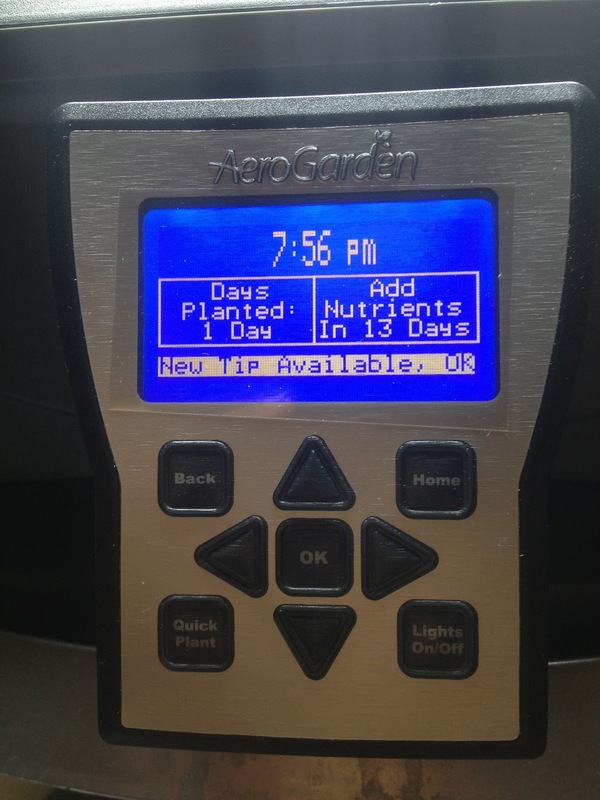 And I notice that six of the seven seed pods have sprouted, so we will have fresh herbs soon!